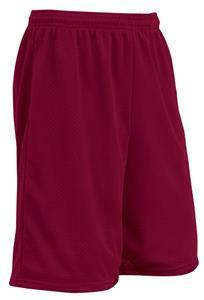 Champro Diesel Poly Tricot Athletic Shorts with Liner. Tricot mesh polyester fabric with liner. 1 1/2" elastic waistband with braided drawsting. WAIST 26" - 28" 30" - 32" 34" - 36" 38" - 40" 42" - 44" 46" - 48" 50" - 52"
WAIST 20" - 22" 24" - 26" 28" - 30" 32" - 34"